We headed up to the North Shore to Haena State Park where the hike we planned on doing is. Kauai is so so gorgeous with such lush and vibrant vegetation at every turn! 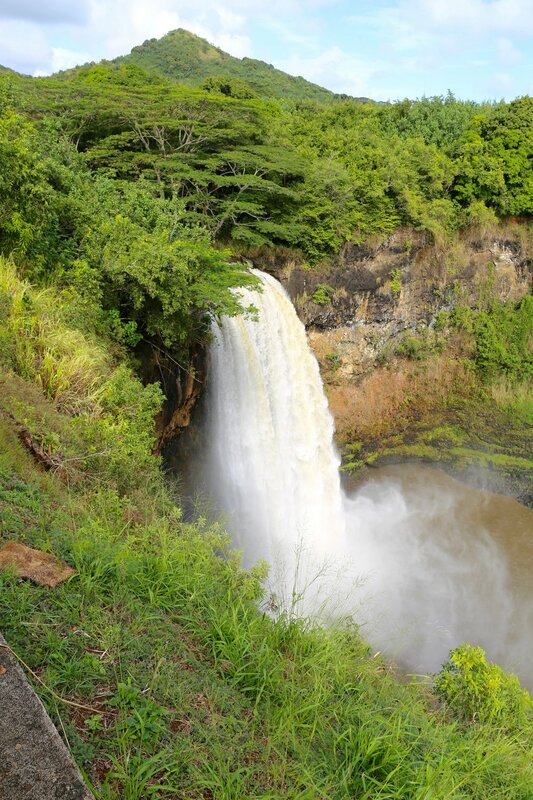 It had rained the night before we got there so there were water falls in every crack and crevice in the mountains, gosh thinking about it love Kauai makes me miss it. Sometimes Shem and I joke that if we ever move it would be to Kauai because of the special feeling there.